Hear Early 20th Century Music … Played on a 21st Century Instrument! Join us and discover early 20th century French Impressionist music…played on a 21st century instrument! 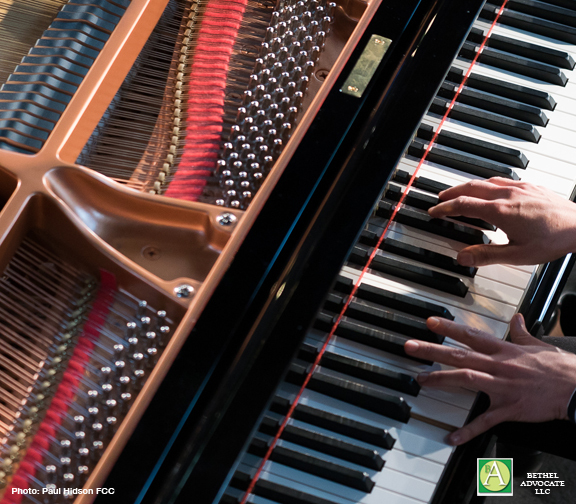 Howard Rovics will present a keyboard recital of works by Claude Debussy on a Kurzweil Stage Piano that he has customized for his Debussy interpretations. This musical style was the beginning of a modern sound–daring, colorful, and appealing–and Mr. Rovics’s Kurzweil piano is extraordinarily true to life. The instrument also can sound like a guitar ensemble, add subtle string-like warmth, mimic the percussive edge of the marimba, and produce bell-like sounds that ring with color that fascinates the ear. Mr. Rovics is a highly regarded composer-pianist who is happy to introduce the Bethel community to the music of Debussy on thisamazing instrument! For adults and young adults. Registration is required. Sponsored by Bethel Arts, a community-based volunteer group that seeks to promote, build, and support all facets of the arts and creative culture in the town of Bethel. All programs sponsored by the Bethel Public Library are open to the public and meet accessibility requirements for the disabled. Those needing special accommodations should contact the Library two weeks prior to the program date to make arrangements.